Are you looking for a new car? Are you interested in a high quality Audi vehicle that can provide you with performance, luxury, style, practicality, safety, and so much more? Then you should consider coming into Pfaff Audi Vaughan to look at our selection of new cars in the Richmond Hill area! We have a very large selection of Audi vehicles that range from sedans and coupes, to SUVs and sports cars. We are very confident that our customers will be able to find the car of their dreams with us, and our representatives will make sure that we are assisting you every step of the way in your new car search. Audi is well known as being a high quality luxury brand, and we are also heavily respected in the performance car industry. 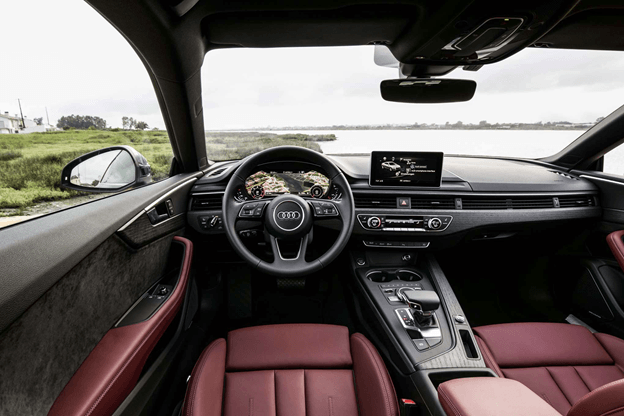 If you are aware of this, and you want to get behind the wheel of excellence, we recommend that you check out new cars in Richmond Hill at Pfaff Audi Vaughan. Read on for more information about some of the new cars that can be found at our dealership. Looking for a new sedan? Pfaff Audi Vaughan has a very large selection of Audi sedans. Vehicles like this 2018 Audi A4 2.0T are available at Pfaff Audi Vaughan. Feel free set up a test drive in an Audi vehicle like this at your earliest convenience. Our customers can set up their test drive on our website, or by contacting an Audi representative our Pfaff Audi Vaughan location. Do you have a larger budget? Are you looking for a sports car that can provide you and your passenger with an exhilarating driving experience? Then an Audi sportscar like this 2018 Audi RS 7 4.0T may interest you. Audi is well known for our performance cars being a respected leader in the industry. If you have the need for speed and you are looking for a powerful vehicle, then come into Pfaff Audi Vaughan today and take this new car, or a car just like it, for a test drive. Looking for a new SUV? Do you have a young family that is growing and you want to purchase a vehicle that is safe? A new Audi SUV, like this 2018 Audi Q3 2.0T, can be found at Pfaff Audi Vaughan. An SUV is a great choice of vehicle if you are looking for safety, tow capacity, cabin space, and performance. An Audi SUV has all of this and more, and our customers can set up a test drive in this SUV, or an SUV just like it, at their earliest convenience. All of these new cars in the Richmond Hill area are available at Pfaff Audi Vaughan. If you find a new car that interests you, but that car sells before you can come in for a test drive, NO WORRIES! Our representatives will go to work to ensure that we find you something else that suits your needs, wants, and desires. For more information about new cars in Richmond Hill, please feel free to continue browsing through our website. Click here to find our contact numbers and to fill out our contact form.